Shoes are one of those things that often pile up next to the door, or get thrown in a corner, or stuffed in a box, but they don’t have to be! Here are 10 ideas to help you get a handle on your growing shoe collection. This wall of shoes has lit shelving to really show off each and every pair of beautiful heels. 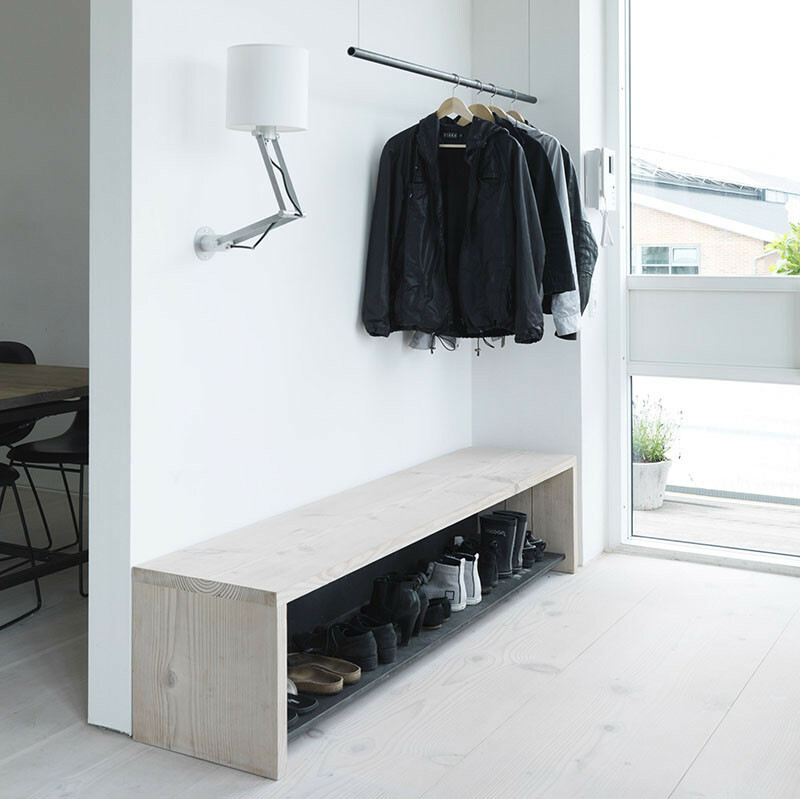 This dual purpose bench acts as both a designated shoe storage spot and a place to sit down while you put on/take off your shoes. House designed by Moten Bo Jensen (of Vipp) & Kristina May Olsen. Photography by Anders Hviid. This is a great way to store shoes in a way that actually lets you see what you’ve got. DIY Ladder Shoe Shelf from a pair & a spare. Photos by Nicola Lemmon. These shoe hangers get your favorite sneakers out of their boxes, off the floor, and onto the wall for easy access. Prevent monsters under the bed by storing your shoes there instead! This rolling shoe tray for under the bed was made using an Ikea VEDDINGE kitchen cabinet door, some moulding, and wheels. Designed by Fraher Architects. Photography by Jack Hobhouse. recreate the look of sneakers thrown over telephone wires in your home! Keep them out of sight in this shoe cabinet that makes grabbing your favorite pair super easy. 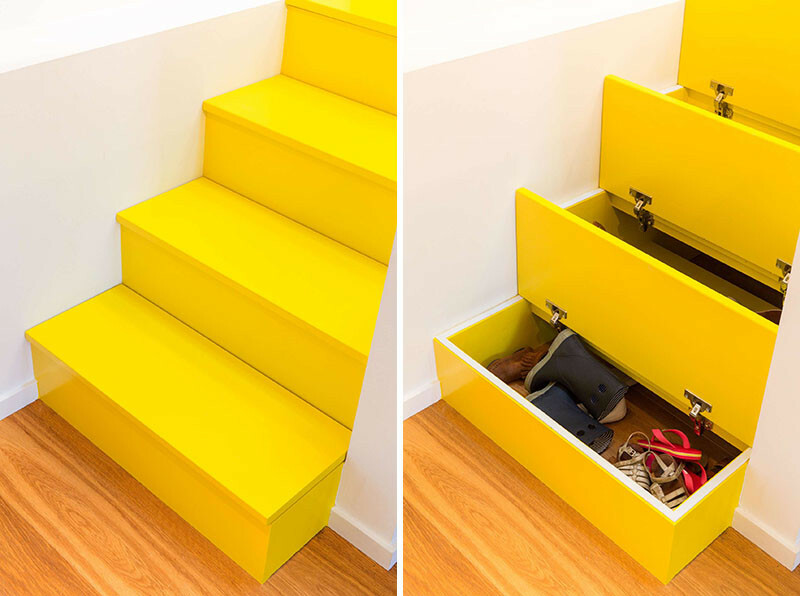 The treads on these stairs open up to reveal storage cubbies, perfect for hiding away shoes. Designed by Spotless Architecture. Photography by Yannick Milpas. 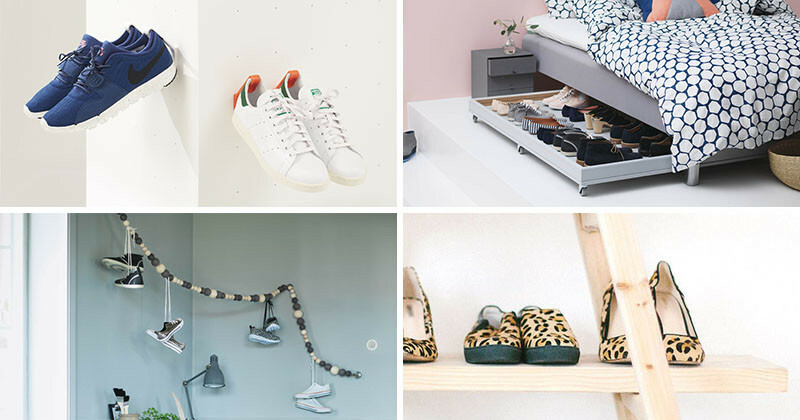 role as a shoe storage solution! 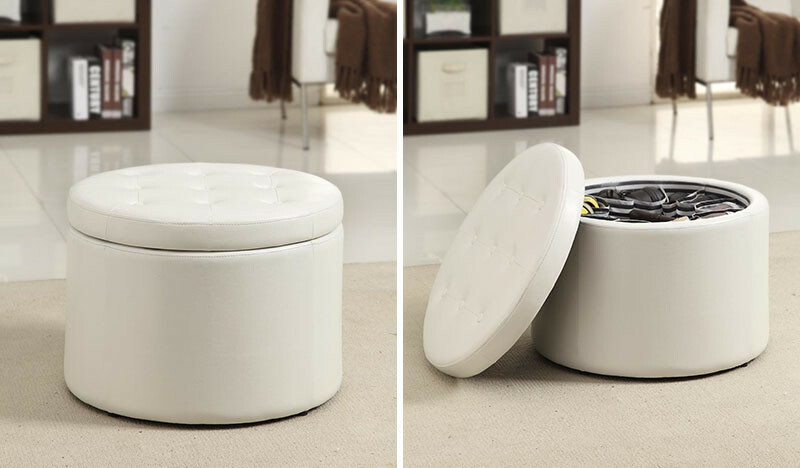 Pop off the lid to reveal 12 storage compartments to tuck away your shoes.